After the completion of the, ultimately, successful one-day series against Pakistan, the Protea’s next international assignment will be the Champions Trophy in England. Based on all the below being fit, I have decided to pick my own team for the Tournament. It should be noted that I do not have the best record in getting these right, as it is the team I would choose, not the team I think will be chosen. Here is my 15 man squad. I think that team would have a great balance and would be able, on paper, to beat almost every team at the ICC Champions Trophy. Tsotstobe may get a look in, but he was properly average in the series against Pakistan bowling far too many lose deliveries. His ability to take a wicket in almost every opening spell though is incredible and that in itself is an asset that would be considered. I think the key point is that this is a short tournament with 5 games to win the whole thing and South Africa need to play our best 11. Questions may exist over who the best XI are, but those questions are for Andrew Hudson and co to answer. And of course before then we have the IPL in which a player like Chris Morris could soar straight into the minds of the selectors. Lets just hope that all our Protea’s come through the tournament unscathed. Definitely agree with your Squad but not on the starting XI, I would drop Ingram, move AB up to 4 and move Faf up to 5. Ingram is just way to inconsistent, he scores a 100 and then goes out for less than 15 a bunch of times and scores another ton. 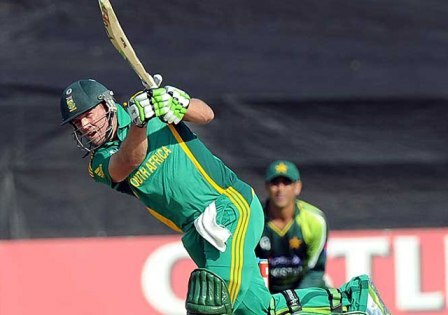 Also I think AB needs to come in earlier than 5, he is a match winner, heck if Kallis wasn’t fit I would bat AB at 3. That XI also relies on Kallis being fit to bowl, if he isn’t fit it would probably force Ingram out or in my best XI Berhardien to bring in a bowling all rounder option, for which the best option IMO is Morris. Great lineup too. If Kallis is fit but cant bowl, then Ingram drops for me and Lopsy in. But agree, its important to have AB in the middle for as long as possible. I think Morris wont make it for Champions Trophy, but I believe that he is a serious option in limited overs for us. After Kallis and Smith retire what would your lineup be? 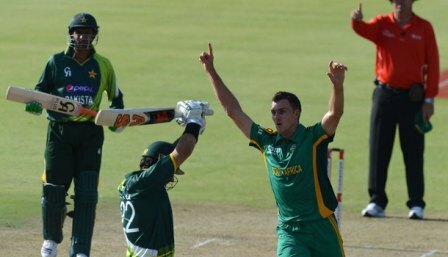 Amla, de Kock?, AB, Faf, Millar, Henry Davids??? For me it has to be de Kock, Davids is just to old, if we include him why not McKenzie, after all he is still the best middle order batsmen in the country. I would like to see Stian Van Zyl get a chance at number 3, he has the potential to have a great career.